To say they have had a bad day is a HUGE understatement. In the last month this family has been through it all. and will be laid up for months. Hopefully it will help to brighten their bad "day"! such a great idea!!!!! You are soo sweet!! Will be sure to let you know the next time I have a really bad day!!!! That should cheer them up! Glad they didn't have to go further than 'month'. Such a sweet gesture! I am sure that just made their weekend. 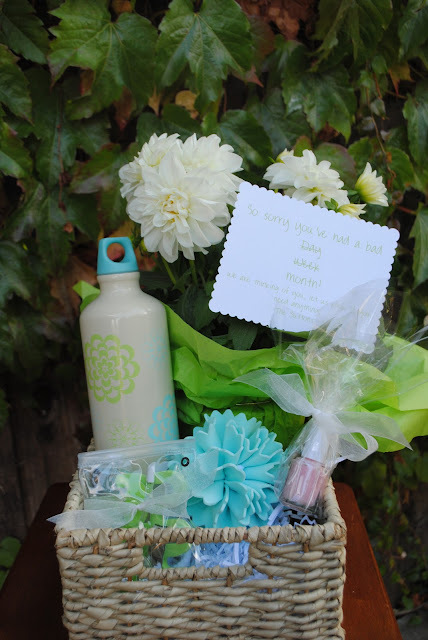 Sometimes just having someone ask makes a world of difference so I am sure this cute basket was a very welcome treat! Very thoughtful gift...wouldn't we all like such a pretty basket when we're having a bad time! What a nice idea! 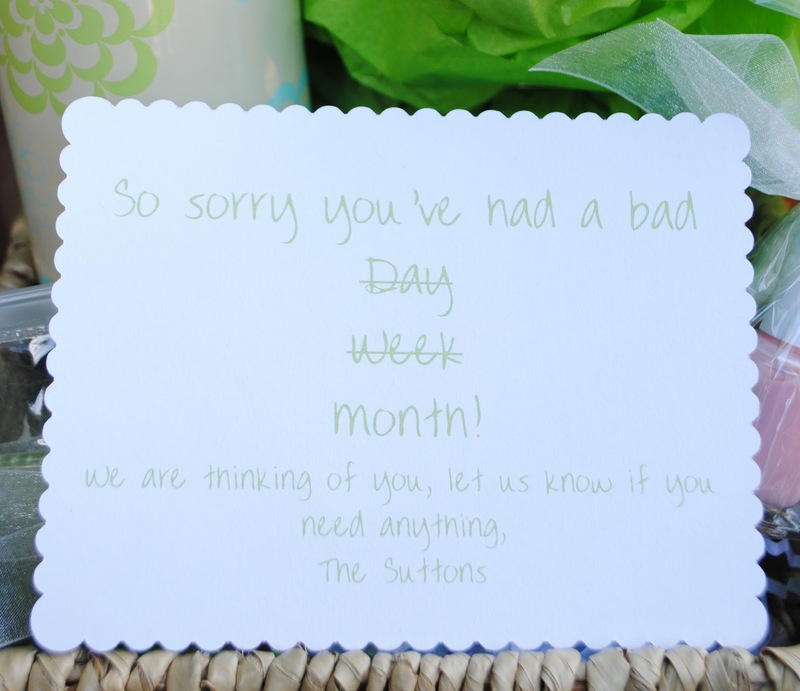 I know from experience that getting an unexpected gift can be a bright spot during difficult times, giving you something else to think about than your own trials. Thanks for sharing! The best kind of pick me up! I'm sure this will feel like a big bear hug to this family. Sometimes...just knowing someone cares and DOES something, can make all the difference. You are quite the little miss crafty pants and you certainly have an eye for all things pretty! I am drooling over all your creations! and that orange pumpkin is adorable! We need to be bff's so that I can get one of these rad gifts, lol!